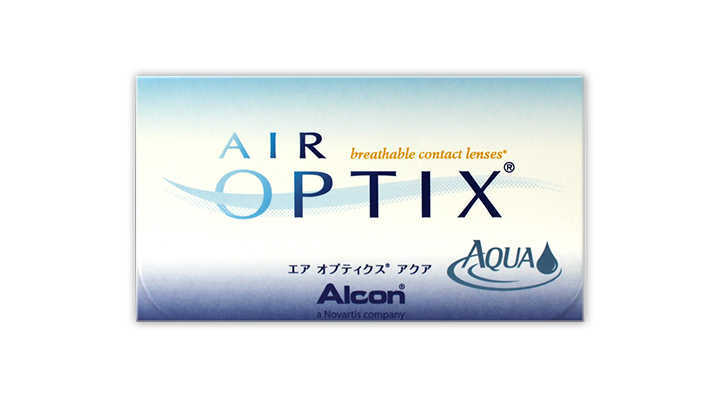 Air Optix Aqua contact lenses are a high quality silicone hydrogel lens, designed for all day comfort. Air Optix Aqua introduces the Aqua moisture system so your lenses remain comfortable all day. A unique moisture agent binds with the surface of the contact lens to create a silky smooth layer that helps the eyelid to glide over the lens for comfort on contact. Lens dehydration is minimised by incorporating a patented agent into the lens. Airoptix has a ultra smooth surface with superior wettability and excellent deposit resistance. Each box contains 3 monthly disposable soft contacts in buffered saline solution. Lenses incorporate a light blue visibility tint for easier handling. After using Focus lenses for over 6 years (they were the 1st brand ever offered to me), I began to notice that my eyes would get red, dry and/or irritated if I wore them too long. I decided to take a chance on the AirOptix Aqua lenses and have found them great - my eyes don't get dry or irritated and they are just as good as the other reviews say they are. I'd definitely recommend trying them. very comfortable, very naturally good-looking, i would buy it again if possible. Ordered these as my normal ones (biofinity) weren't in stock. Made my eyes really dry, they felt tired all the time and after a while started burning. I've never had this with contact lenses before. I always stick to cheap lenses, being a student. However, I tried these as I thought I should look after my eyes a little more. Honestly, I can't wait for the month to be over. I am constantly aware they are there. I can feel them moving about and it's uncomfortable and irritating. I'd never buy these again. Same experience as the other (this far) five one star reviewers. Uncomfortable, drying out my eyes, etc. I have really tried for a long time, as I bought a year's supply at the same time, as they were recommended as substitution for the acuvye and focus monthly that were no longer to find for sale. The experience that I wan to add is that the Air Optix seem uneven in quality, meaning that some lenses were ok for a month, some got better after a few days of a little suffering, while others I had to throw away long before a month of use.